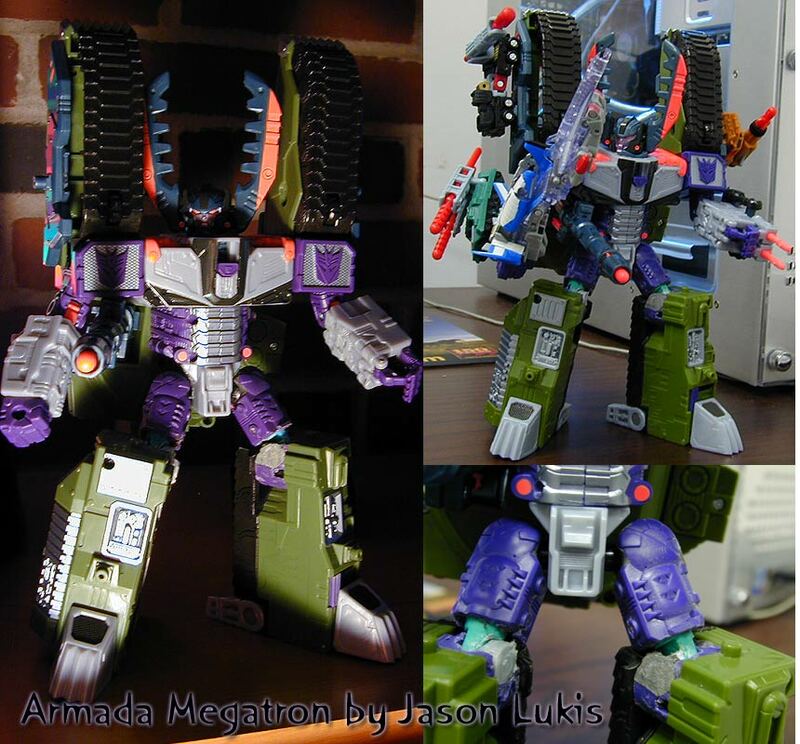 What's the biggest complaint everyone has about Armada Megatron? His totally unposable legs. Well, Jason fixed that... The joints that were used were the knee and swivle joint attached to the upper leg from Tigatron, the lower leg portion of the knee and the sockets for the hips are from DepthCharge, and the balls for the sockets are from Rampage. This alteration was the impetus for one of our many ideas for possible Unicron.com accessory packs that never came to fruition. The difference with this idea, is that final 3D models, and even one round of resin prototypes were produced. We decided last minute to can the production of this accessory pack due to timing, perceived interest, and the relatively high production cost involved. Check our our short homage to the Unicron.com Armada Megatron Leg Kit that never was (or ever will be).